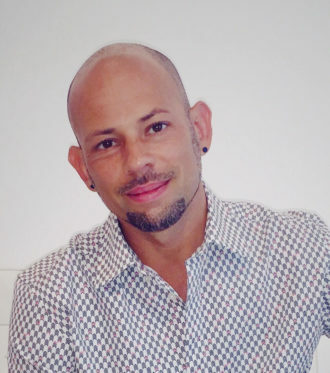 Master Colorist & Hairstylist Born in the Bronx and having grown up in the Dominican Republic, Manny Hernandez was very much influenced by music and art, while also being raised by a mother who taught hair cutting techniques in Queens. The result: an artist who is hip to the most fashion forward looks, and has a natural gift of translating that to every client who sits in his chair. He’s spent the last 18 years refining the art of hair styling through experience and higher education with The Redken Exchange on 5th Avenue, NYC. Manny’s sought-after skills include both men and woman’s cuts, natural and high-lift colors, keratin treatments and dry cutting, working especially well with textured hair. Most recently, Manny has been featured in the Improper Bostonian specifically for his Balayage color work. From edgy to elegant, Manny will be sure to help find the look that best suits you.